Trolls 2, AKA Trolls World Tour, is the sequel to the 2016 animated hit Trolls. Trolls earned $153,707,064 in the United States during its theatrical release. The first film was released by 20th Century Fox. In that film, after the Bergens invade Troll Village, Poppy, the happiest Troll ever born, and the curmudgeonly Branch set off on a journey to rescue her friends. 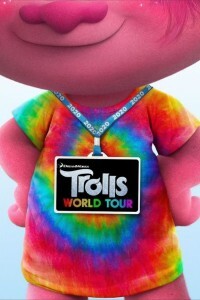 Stay tuned for details about Trolls World Tour. The Spongebob Movie It's a Wonderful Sponge is the third feature film in the "SpongeBob SquarePants" franchise based on the popular TV series. .